We are now officially in February. The month of love. The month of Valentine's Day. 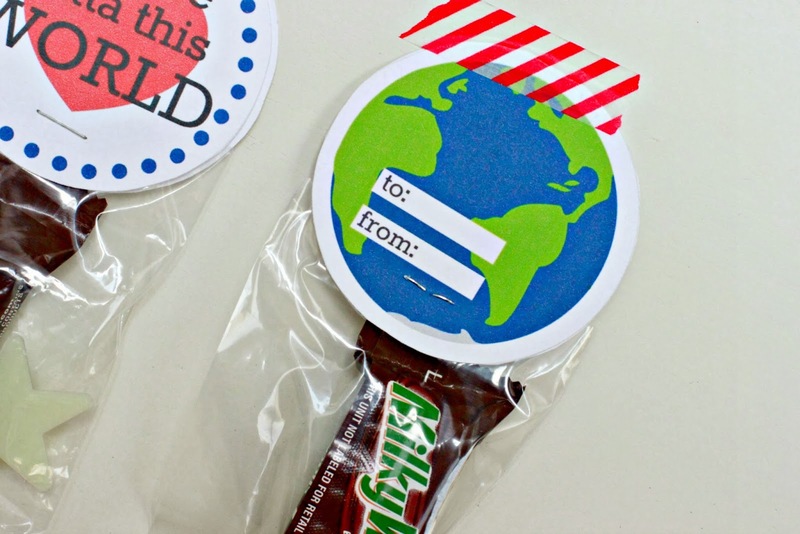 The month of classroom parties, love notes, roses, chocolate, and cupid's arrow. Here is my most recent classroom Valentine idea. This could be a candy Valentine or a non candy valentine. This valentine could also be both. I went with the phrase, "You are outta this world!" 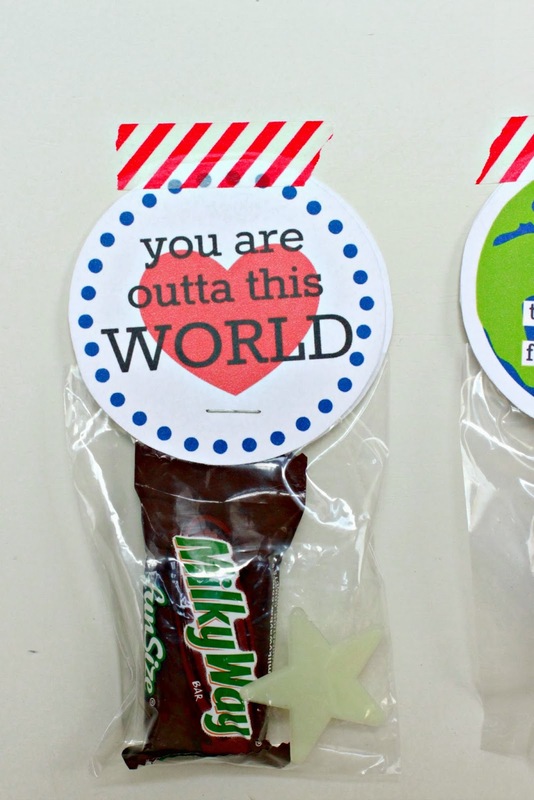 with the idea of pairing the valentine up with Milky Way candy bars and glow in the dark stars. Then I made a valentine printable. I used my Royale membership from PicMonkey and one my favorite features, the transparent background on the canvas function. That is what allowed me to make circular tags. Woot. 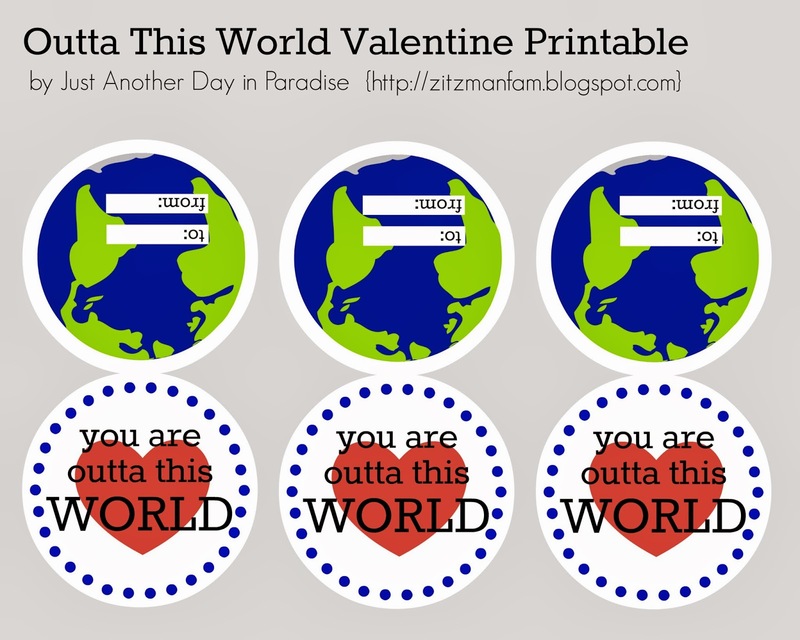 So I made these double sided "You are outta this world!" 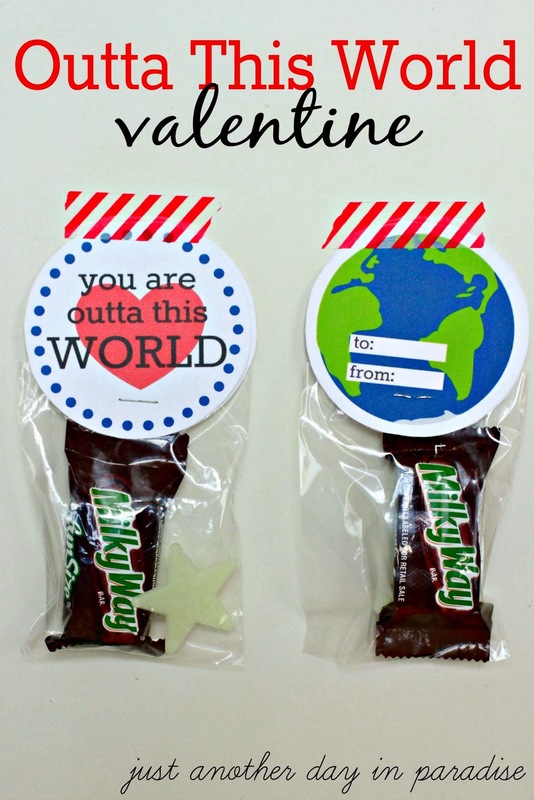 classroom valentine printables. Then you just cut them out, load up the treat bags, and staple the tag closed over the bag. 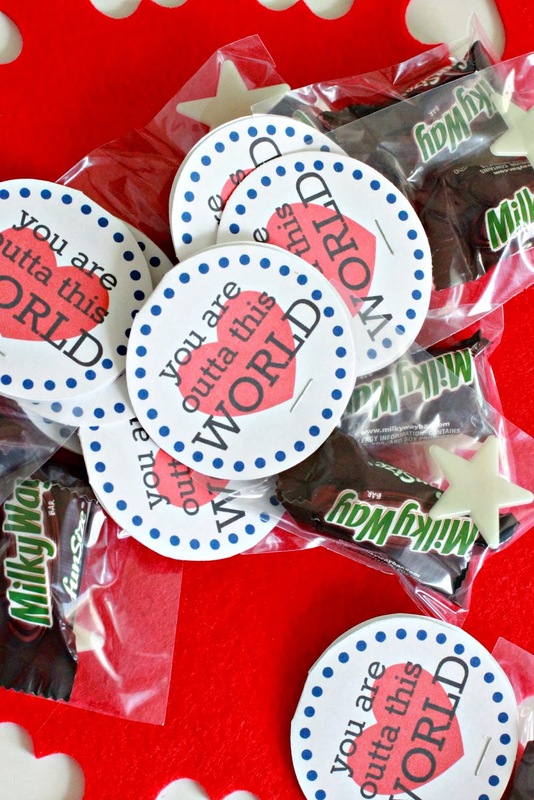 Be prepared to have a classroom full of Outta This World Valentines!